Today we are hearing from the wonderful Carmen Brown of Married by His Grace. This lady has a heart on fire for God, and it is evident within her writing. 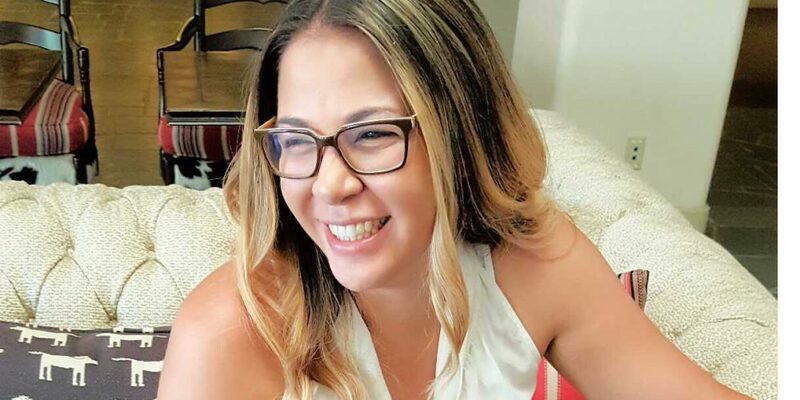 She has written a must read book, By His Grace We Blog, and if you aren’t already connecting with Carmen in her facebook group, I highly recommend you join her at By His Grace Bloggers. Below you will see a series of questions Carmen was kind enough to answer for us. My hope is that hearing from other bloggers about their journey will inspire and encourage you on your own journey! About four years ago, I kept hearing the words “Just write”. I would hear those words just about any time of the day. I could be praying, doing dishes, taking a walk, even while playing with the kids. Especially during the kids nap time when I would use that time to clean and do laundry. I started to feel convicted. As if I was supposed to be doing something else during that time. As someone who journaled, I assumed it was the Lord trying to ignite my passion for writing. After a year of “just writing” in my journal, I was still not content. Then one night I had a dream of typing intensely yet peacefully on a laptop. When I woke up, I asked my husband for his old laptop that he had laying around. I opened it up and started typing every day for another nine months. Suddenly, during a casual conversation with my sister about Christian homeschool bloggers, my “Ah-ha” moment came. Start a blog! From there I never looked back. After months of research and preparing, Married by His Grace was formed. 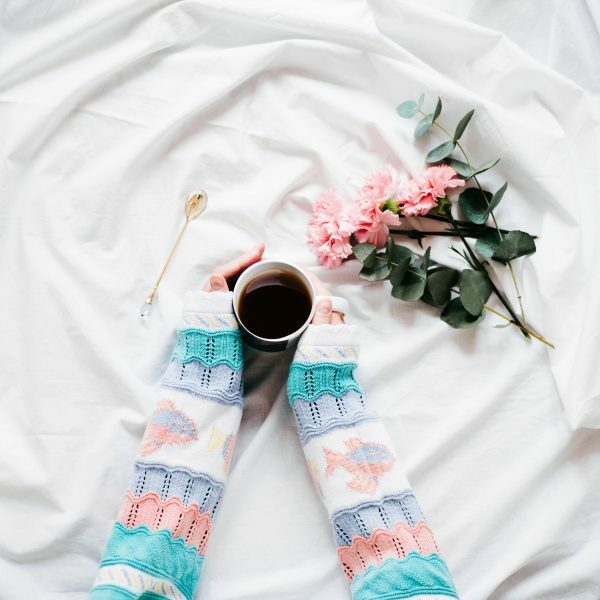 What does a typical day of blogging look like for you? **Quick note: this is just one example of a blogging schedule. If you have limited time to work on your blog right now, do not be discouraged. Give God the time you do have and watch Him multiply your efforts. Over time, my typical day of blogging has changed many times. When I first started blogging, my fourth child was just born and unfortunately bearing through a lot of difficulties. The day I went live with the blog was the day after my son’s fourth surgery. He was just four months old. I was sitting in his recovery room building the blog as he slept. 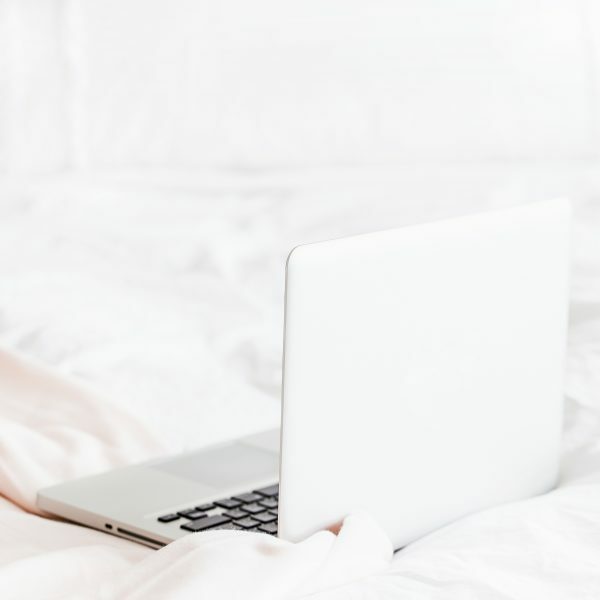 With homecare and adjusting to a new life of four children, my first year of blogging was mostly while everyone slept. I was sleeping about four hours per day in total. Most of it broken up. Blogging became my outlet from all the trauma I had just endured with our son. Besides having the Lord to cling to, it was part of my own healing process. After Malachi physically healed, I found out I was pregnant with our fifth child. Then my blogging schedule dramatically changed. I knew becoming a mom of five was going to either break me or make me serious about blogging. I had to pinpoint exactly what I wanted. Immediately I knew the answer. I wanted Married by His Grace to continue to be my ministry. Which meant I needed to treat it as one. Now that the blog has grown, it works a lot on auto pilot. Besides organic search, Pinterest is a big piece of my traffic so I schedule this out for a month, and I usually schedule Facebook posts with time blocks to engage in the groups I am involved in each day. I have learned to say no to extra commitments. This was the hardest part for me but has been very beneficial to me and my family. Part of ministry is knowing your limits for you and your family. I noticed when I was giving over forty hours a week to the blog, I was not giving my all to my home and family. How can I write about marriage and parenting by God’s grace if I am not living it out first? What is one piece of advice you feel every blogger should know? I can only speak as a Christian based Blogger. My advice would be: Blog for the Lord, not for man. Whether you desire to become a full time monetizing blogger or to blog as a hobby; giving the blog to the Lord is important. It will save you so much heartache and doubtful nights. When we are trying to create something on our own, that we already proclaimed that is God’s, (fact: the moment you proclaim to be a Christian blogger, you are stating the blog is His) we will never be able to accomplish it with contentment. The best thing you can do is follow His leading. To do this, stay in prayer, give Him praise, and seek Him for every decision about the blog. I even recommend setting time apart every so often for just you and Him. Take a day or weekend retreat where you can sit and just hear Him speak the words to you. This seriously protects us, our readers, our online relationships, and our blog from so much. By His Grace We Blog eBook was created almost two years ago and has done very well. Much more success than I ever thought it would do. Which is a big sign to me that God did this, not me. The By His Grace We Blog book can be purchased as a eBook or as a hard copy on Amazon. Recently, I just created printable forms for bloggers. The exact forms I created for myself to get my daily blogging life organized, I created it for others to use. I named it, ‘The Batch Bundle’. It consists of five printable sheets of a block schedule, a monthly goal sheet, and a quarterly goal. Praying through Spiritual Warfare in your Marriage. 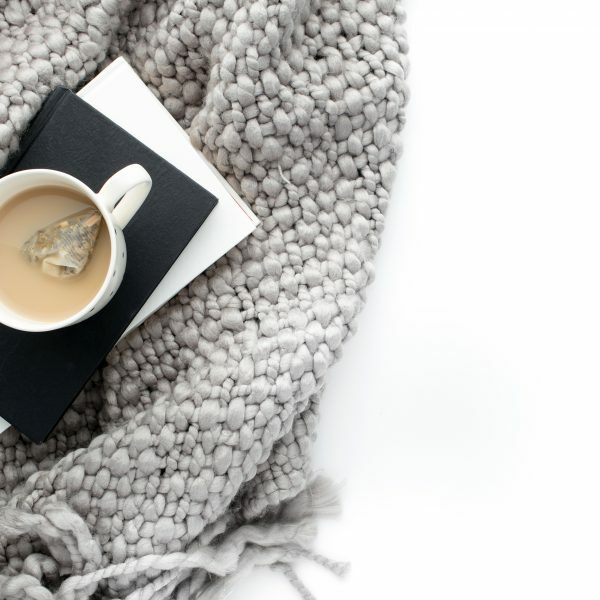 My most linked back post to my site and to my eBook is this guest post on Milk and Honey Faith blog: When you are called to blog. 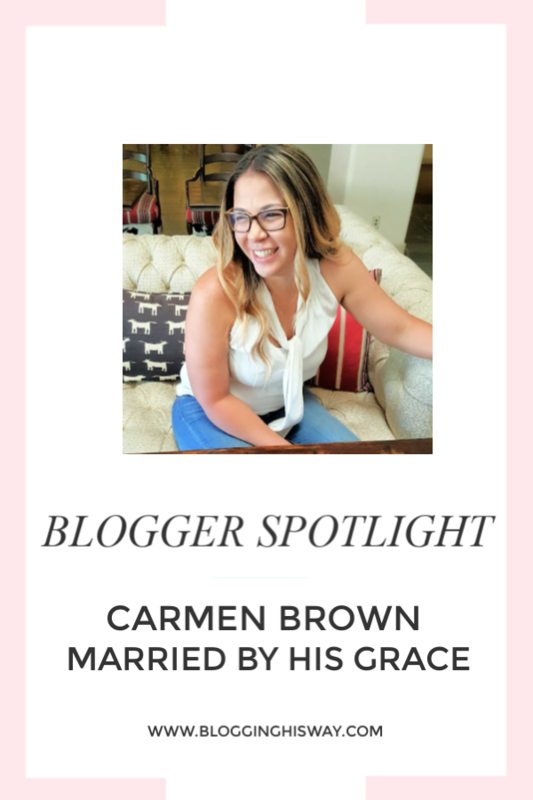 Carmen Brown is the creator of Married by His Grace blog and By His Grace We Blog eBook. She actively writes to women who are desiring to build their home with the word of God. 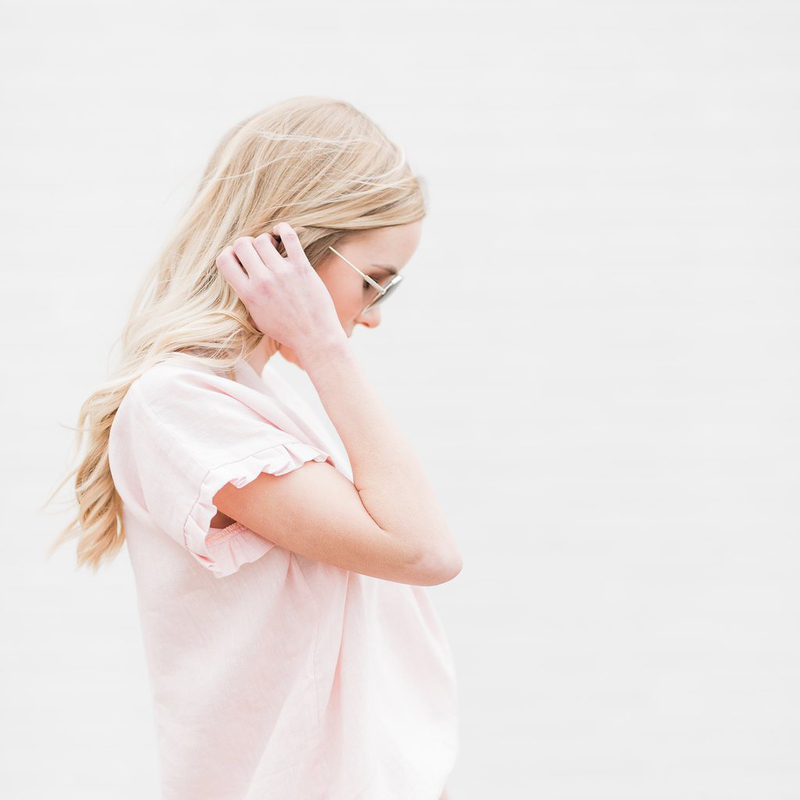 Her passions involve staying connected with her family, drinking an immense amount of coffee daily, and developing content that will help and encourage new Christian Bloggers. 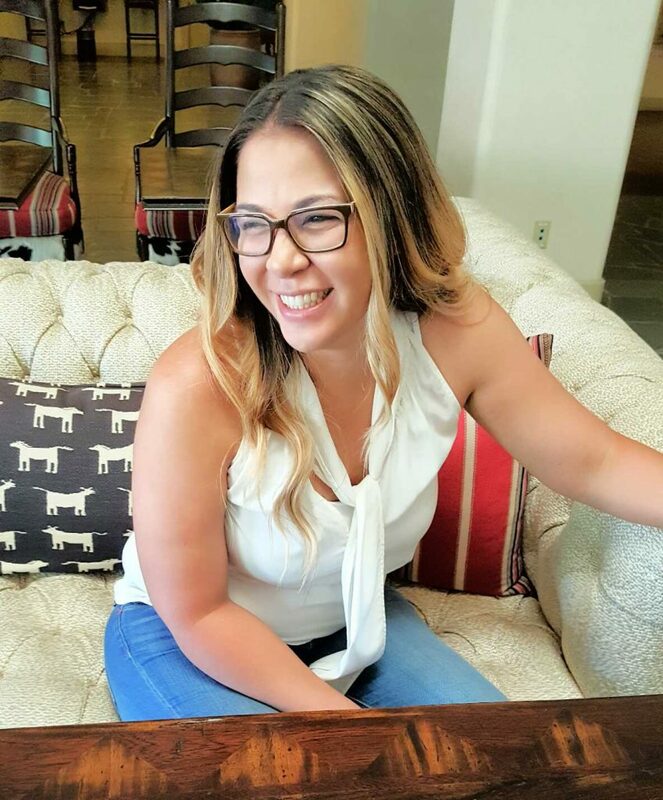 You can connect with Carmen on her blog, Instagram, and Pinterest. Lauren, Thank you so much for allowing me to share on your platform. I am truly honored! Many blessings to your passion for Christ and for your ministry! Thank you Carmen! It was a blessing to learn more about your ministry!